Is this a 10cc reunion? Well, sort of…. Former band member and legendary director Kevin Godley has created 2 new videos for Graham Gouldman’s touring version of 10cc. This is not the first time the two founding band members have collaborated. Godley and Gouldman created some fascinating new music back in 2006 under the guise GG/06, in which the track used for one of the videos “Son of Man” was created. In 2006, for the first time in over three decades original 10cc members Godley and Gouldman reunited to record new music. Best known for such classic 10cc hits as “Rubber Bullets,” “I’m Not In Love” and “The Dean & I,” as well as Godley and Creme’s hit “Cry,” Godley and Gouldman recorded six new download-only songs which received rave reviews from fans and critics alike worldwide! The music has recently been released on a limited edition CD only available at 10cc shows! 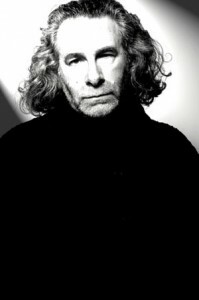 Kevin Godley, who has directed some of the most successful music videos in rock and roll for such artists as Peter Gabriel, Duran Duran, U2, Herbie Hancock, Hozier, Elbow, The Beatles, Paul McCartney and The Police to name just a few, graces all six tracks with his tremendous voice – arguably one of the great vocalists in music today! “I’m Not In Love” was written by band members Eric Stewart and Graham Gouldman and is known for its innovative and distinctive backing track, composed mostly of the band’s multitracked vocals. Released in the UK in May 1975 as the second single from the band’s third album “The Original Soundtrack,” it became the second of the group’s three number-one singles in the UK between 1973 and 1978, topping the UK singles chart for two weeks. The song was also the band’s breakthrough hit worldwide, reaching number one in Ireland and Canada and number two on the Billboard Hot 100 in the US, as well as reaching the top 10 in Australia, New Zealand and several European countries. “I’m Not In Love” was originally conceived as a bossa nova song played on guitars, but Kevin Godley and Lol Creme disliked the track and it was abandoned. However, after hearing members of their staff continue to sing the melody around their studio, Stewart persuaded the group to give the song another chance, to which Godley replied that for the song to work it needed to be radically changed, and suggested that the band should try and create a new version using just voices. Along with the 2 new videos, Kevin Godley created and starred in a previous innovative video for the song “Somewhere In Hollywood” which 10cc have used in concert during the past couple of years. In other news, Kevin Godley recently started recording his highly anticipated new solo album “MUSCLE MEMORY.” What makes this album special, along with being his very first solo album, is that it will be comprised of collaborations between Kevin and a cast of musicians he has only met via email or Skype, who have submitted instrumental tracks that he has chosen to turn into songs. Kevin is also in the early stages of pre-production to direct his first feature film, “The Gate,” based on Orson Welles’ adventures in Ireland circa 1931. London – 10cc/Godley & Creme legend Kevin Godley is starting a PledgeMusic campaign for his highly anticipated new solo album “MUSCLE MEMORY.” What makes this album special, along with being his very first solo album, is that it will be comprised of collaborations between Kevin and, as yet, a cast of unknown musicians submitting instrumental tracks that he can turn into songs. 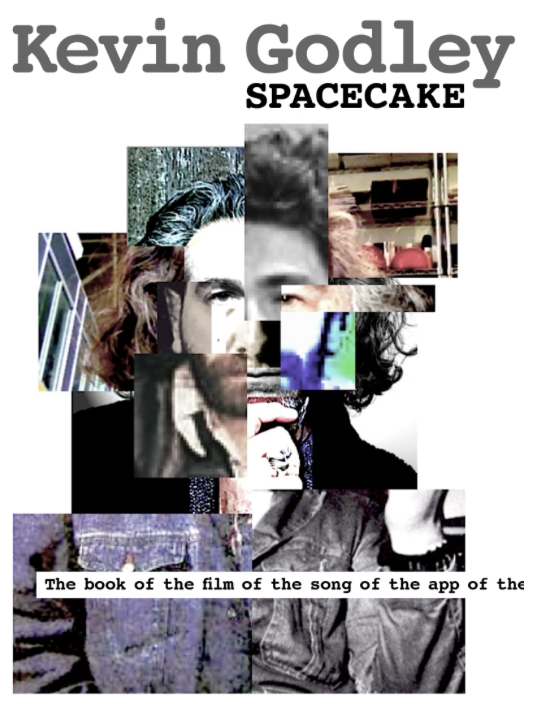 Kevin Godley’s PledgeMusic campaign will have digital, CD and LP versions of the album available plus other merchandise and live experiences in the form of a workshop, video shoot visit and listening party/Q&A. Recently something happened that eclipsed any songwriting techniques I’d learned in 10cc or Godley & Creme. Out of the blue, I was sent 2 recorded instrumental tracks with requests to write melodies and lyrics and turn them into songs. Both tracks came from people I’d never met and still haven’t. We communicated by email and all I did was load their tracks into Garageband and react to them vocally. Experiencing this kind of remote collaboration and its results has been transformational for me, as I believe I’ve recorded 2 of my best ever songs and “MUSCLE MEMORY,” as I’m calling the album, will be about opening this collaborative door a lot wider. It’s my first time out fronting a record so it’s exciting and daunting in equal measure but it’s something I’ve wanted to do for a long time and with your help I intend to make it count. The idea is to work on 10 new tracks that inspire me and share the copyright 50/50 with each writer or co-writers. It’s that simple. Just to be really clear…submissions are open to anyone. That’s new and emerging acts through to established musicians. I’ve already had interest from a few significant artists but my selection process will be totally democratic so I won’t be revealing any names until I’ve listened to everyone and everything and begun to select my 10 collaborators. The timeline of the release will depend on the submissions, but I plan to have the album released in the first half of 2018 and will be posting regular updates along the way to keep you informed of its progress. Around the album’s release I’ll be opening the door for both creatives and fans to be a part of the album recording process, with live events taking place which you can Pledge to be a part of. – Each submission must be an original recording made by the submitter in a stereo WAV format and ideally be around 3-5 minutes long. – All submissions must consist of 100% original content, composed by the submitter. No covers or samples are to be included. – The submitter must have retained and own all rights associated with the composition and must have sole rights to the material submitted. – Audio stems must be available. – The submission must not have previously been published or included in any other published work. – The submitter agrees that any submitted work may form the basis of a joint collaboration with KG. – KG does not guarantee working with any particular party with regards to their submission, but in the instances that he does, the revised/reworked “Collaboration Composition” (CC) will become the joint property of both KG and the submitter. – All publishing copyrights to Collaboration Content will be owned 50:50 between KG and the owner/submitter of the original material. – Any publishing income derived from the publishing of or any use of the Collaboration Content, will be split 50:50 be-tween the parties. – The submitter agrees to allow any and all collaborative compositions to be used by KG for the purpose of creating an audio track and/or album. – The level of collaborative interaction between KG and collaborators will be down to KG’s discretion. – All submissions must be made via WeTransfer.com to the email address musclememorysubmissions@gmail.com with your name and contact details in the message. Please do not approach KG directly. Workshop: Join Kevin Godley part way through recording the album and add your own voices and sounds to some of the tracks. He will record you, demo his studio techniques and talk guests through the record’s progress. The evening will conclude with an informal Q&A session. Video Shoot Visit: Visit the set or location during the shooting of a video for a key album track and maybe get the opportunity to appear on-camera as an extra. Album Playback and Q&A: Attend an exclusive Album Playback with Kevin Godley to hear the finished record before anyone else and take part in an informal Q&A session about the recording of the new album. Date and location TBC. Amongst the unreleased content found in the website is a fascinating new video of the classic 10cc track “Somewhere In Hollywood”. A brand new recorded track with French EDM producer LUKE MORNAY called “Expecting A Message” and “Fashion Aid” the fashion industry’s contribution to Bob Geldof’s unstoppable 1985 campaign. What’s music legend KEVIN GODLEY (10cc / Godley & Creme) doing now? HOG FEVER the Ear Movie, that’s what. What’s music legend KEVIN GODLEY (10cc / Godley & Creme) doing now? HOG FEVER the Ear Movie, that’s what. Midway between the satire of Spinal Tap and the pathos of American Beauty lies the schizophrenic state of mind known as Hog Fever. On the surface this is the story of a man, a motorcycle, and a teetering bank balance. But lurking beneath is the story of a lost soul in search of freedom – or at least one last stab at it. Motivated by the emasculating success of his British screenwriter wife and a love of Easy Rider and The Wild One, Robert Lourdes, a struggling American author on the cusp of forty, finds solace in the Harley-Davidson legend. Hog Fever is Robert’s comedy of errors as he embarks on a toot, tattoo-and-testosterone-fueled quest to find himself.